The 2018 World Cup in Russia will mark the first time the tourament was held in the country. A total of 3.2 billion people (almost half of the world’s population) tuned in to watch the 2014 World Cup. The first World Cup was played in 1930. Uruguay was both the tournament host and winner that year. The World Cup trophy went missing for 7 days in 1966, when it was stolen just prior to the tournament. The distance between the easternmost host city (Ekaterinburg) and the westernmost host city (Kaliningrad) at the 2018 World Cup is over 1500 miles. For comparison, that’s about the same distance as Moscow to London, England. Of all countries that have appeared in the World Cup, Indonesia has played the least number of matches – just one in 1938. It’s hard to believe that the 2018 World Cup is almost here. 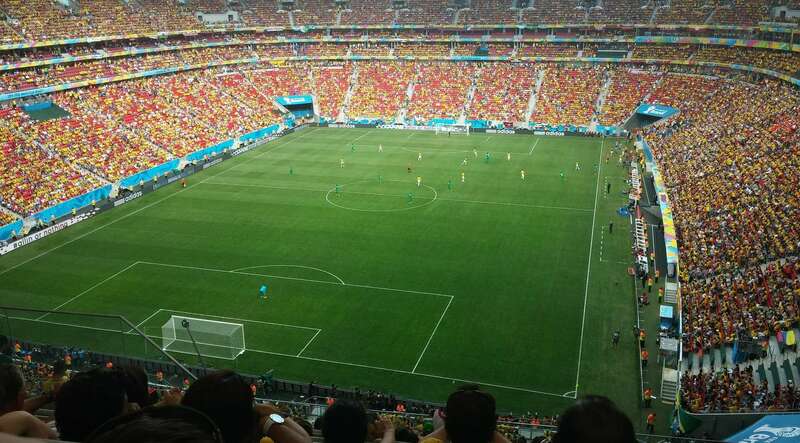 It doesn’t seem like very long ago that we spent an incredible summer in Brazil, enjoying the amazing atmosphere and the outstanding soccer at the 2014 World Cup. It’s no secret that this event is one of our favorites and we’re already fielding lots of interest in what is arguably the world’s best soccer tournament. Want to join us next summer in Russia for this iconic event? We have some amazing luxury 2018 World Cup packages with the best 2018 World Cup hotels in the country including the Ritz-Carlton Moscow Red Square and the Four Seasons Lion Palace in St. Petersburg. We’d love to be your host as you experience the excitement for yourself!